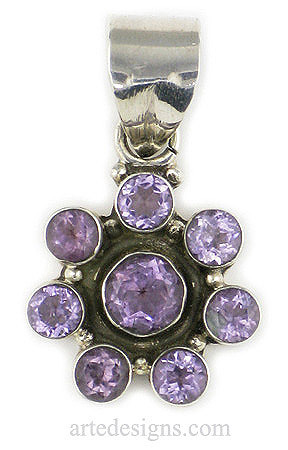 Round amethyst gemstones cluster together to form this unique flower gemstone pendant. It is slightly oxidized for an antique look and is approximately 1 inch high. Sterling silver setting.